Growing Africa’s Future (AGRA) has just published a report on the seed sector in Africa which concludes that the sector is now dominated by local start-ups. The report shows, in particular, that the 80 small and medium African seed companies in 16 different countries, with which AGRA works, are bound to produce more than 80,000 tons of certified seeds in 2014, compared to only 2,000 tons by a handful of companies in 2007. 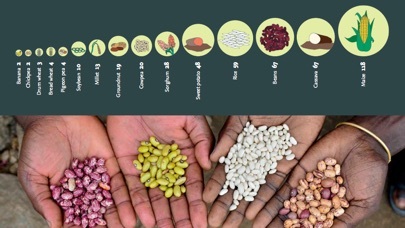 This is, according to the report, the result of the PASS (Program for Africa’s Seed Systems) program launched by AGRA in 2007, the objective of which is the establishment of modern seed systems on the continent. •The support provided by AGRA to agro-dealers who provide 400,000 tons of seeds and 1 million tons of fertiliser annually to small producers in 16 countries. The program is particularly active in Nigeria where it benefits from the support of the Minister of Agriculture who is a former senior staff of AGRA. But activities of some of the partners are not without some dire failures as was the case for Nigeria’s Maslaha Seeds Company during the 2012 rice campaign when the variety distributed did not produce (read more details here). With these reported successes, AGRA intends to intensify its activities to promote chemical fertilisers. The report does not talk about the links existing between the PASS program and the large seed multinationals, the three largest of which (Monsanto, DuPont et Syngenta) control 53% of the world seed market. It does however say that AGRA’s work fits in the framework of the New Alliance for Food Security and Nutrition of which Syngenta and Monsanto, as well as the top fertiliser company Yara, are members. It also does not say whether some of the seeds distributed are products of these multinationals. It is also silent on who exactly are the buyers of the seeds produced, whether if the poorest producers are really benefiting from this program, and what is the real weight of the start-ups supported by AGRA in the seed market as a whole in Africa. As a reference, a source stated that all the seeds produced by seed producers associations in Africa amounted to around 122,000 tons of seeds in 2008 while seed imports from other continents were then at the level of 15,000 tons (ASARECA). AGRA is an organisation supported by the North-American foundations Gates and Rockefeller. It was created in 2006 with the objective to promote the Green Revolution model in Africa that is based on the use of improved seeds, chemical fertilisers and pesticides. Its Board Chair Emeritus is Kofi Annan, former Secretary-General of the United Nations.